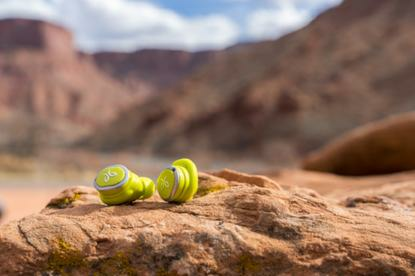 Jaybird are rolling out a new special edition version of their Jaybird RUN headphones in celebration of Earth Day. Additionally, Jaybird Australia and New Zealand say they will donate 10% of the proceeds from these special edition headphones to Wings for Life, a not-for-profit spinal cord research foundation. “Australians are blessed to have access to so many open spaces” said Estelle Corria, Brand Manager of Jaybird ANZ. The special edition Earth Day Run buds feature a unique colour scheme inspired by the colours and landscapes of the open spaces of Jaybird's home in Park City, Utah. Also included in the special edition box is a small, beautiful print of El Capitan in Yosemite National Park by renowned outdoor sports photographer and Jaybird Ambassador, Tim Kemple. "Music fuels my run," said Timothy Olson, Jaybird athlete and two-time winner and record holder of the Western States 100 Mile race. The Earth Day Special Edition Jaybird Run True Wireless Sport Headphones will be available only at jaybirdsport.com through April 30, 2018, while supplies last for $249.95.